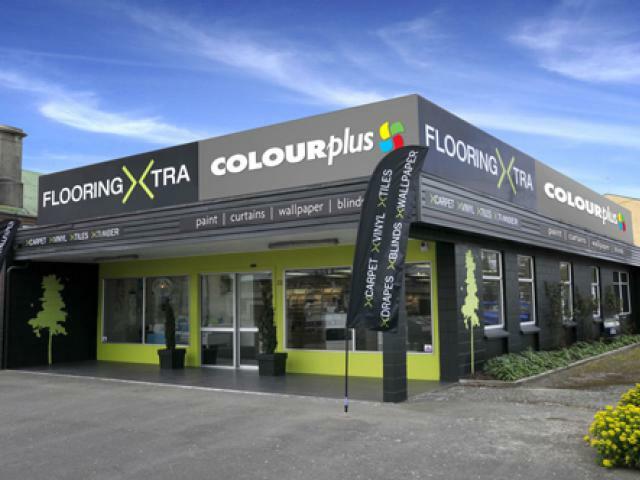 Well-known and trusted brands, Flooring Xtra and Colourplus, join together on Hokonui Drive in Gore to create a true one-stop design store. 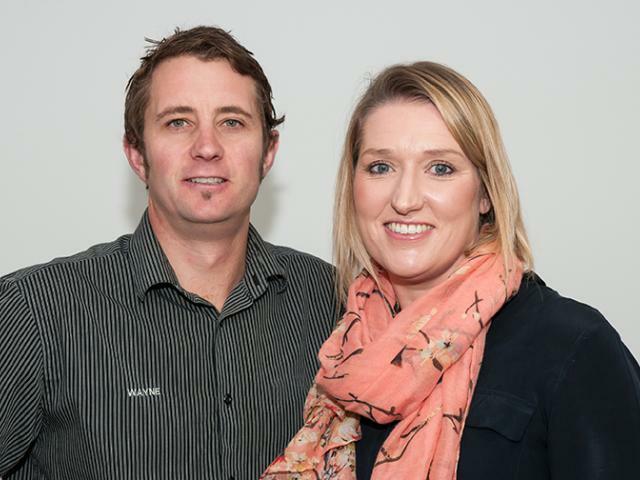 Owned and managed by Wayne and Julia Eade, this large and newly renovated showroom boasts a vast array of choices for the eager decorator. Along with their dedicated staff, they have the knowledge and experience to assist you in all your decorating needs. They have created a light, comfortable and inspirational environment for you to enjoy as you select new items for your home. On entering the store, you will find a ceramic tile library. Categorised by colour and size, this is sure to be an effective way of finding those special tiles for your bathroom, kitchen or entrance. From here you will walk along our extensive carpet wall. With over 800 different carpet samples lining one side of this store, the choice is certainly aplenty. From the ever favourite wool fibres to hardy nylons, in popular grey and earthy tones as well as many, many more, the choice is certainly yours. A range of hard flooring then completes this area of the showroom, with a selection of luxury vinyl planks and tiles, vinyl, and timber all options for you to ponder. And, if the choice seems overwhelming, you can be assured that the flooring salesmen are experts in their field and will assist you in finding exactly the right flooring products to suit your needs. To compliment this, the next part of the showroom holds a vast selection of beautiful fabrics for drapery and upholstery. Whether you like bold, bright designs or soft natural shades and fibres, all colours and styles are represented here. Blinds are also on display in this section, demonstrating both the form and function of the different types available. Wallpapers create a unique look for your home and can be an exciting way of injecting personality. There are many wallpaper books to peruse or stock wallpapers to choose from in this area. If you are looking for inspiration, or need help to put ideas together, Gore Flooring Xtra Colourplus has qualified interior design consultants on hand. From in store advice to a complete individual scheme created for your home, nothing is a problem and their service is complimentary. At Gore Flooring Xtra Colourplus, the team strive to create the best end to end customer experience possible. They employ their own experienced tradesmen within the business, so that when it comes time to install the flooring or window coverings, it is all stress free and comes with a lifetime installation warranty. Projects, big or small, the Gore Flooring Xtra Colourplus team will ensure that you choose the products that best fit your circumstances, budget and style and will guide you every step of the way.